Many overhead crane manufacturers produce bridge cranes and monorail systems with enclosed track. There are many benefits to using an enclosed track system, including ease of use and installation. But, it’s also important to know what defines an enclosed track and the design features associated with it, in addition to the benefits and advantages. If you are searching for an ergonomic material handling system for your facility or operation, enclosed track systems are the perfect solution. They are easy to install, easy to move, and provide lower track weight than traditional bridge cranes. In fact, the enclosed track design is three times easier to maneuver than traditional bridge cranes. What is an Enclosed Track? An enclosed track system refers to an overhead crane component that is manufactured by rolling metal through sequential dyes to form an enclosed shape. The track’s “V” shaped profile holds and guides the trolley within a defined path, which protects the trolley from environmental factors and maintains the alignment of end trucks and trolley wheels. The tracks “V” shaped profile also prevents dirt accumulation and contamination inside the tracks. Enclosed track systems usually come in steel and aluminum. They are advantageous because they ensure smooth movement, ease of use, and longer operating life. The enclosed steel track also permits increased spans, which means fewer supports are needed for runways and overhead space can remain clear. Enclosed track is high in strength and low in weight. This makes it easier to move enclosed track cranes than traditional bridge cranes. The “V” shape of the track design virtually eliminates dirt and dust from accumulating on the rolling surface, which dramatically reduces wear on the trolley wheels and end trucks. Its smooth running surface provides lower rolling resistance, which means the trolley moves along the track smoothly and easily. 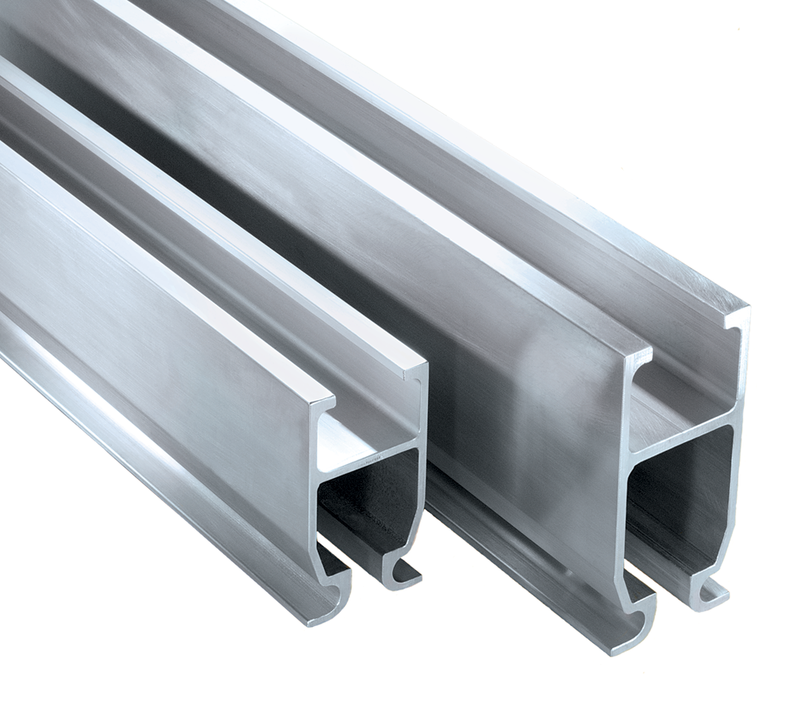 The enclosed steel track’s low profile allows the system to be installed in facilities where headroom is an issue, and the low track weight reduces the applied forces exerted on the supporting structure. The size of enclosed track also enables users to keep bridge weights and costs to a minimum. It’s important to check with your overhead crane manufacturer to ensure that their enclosed track systems are designed in accordance with MMA 27.2 specifications for enclosed track, underhung cranes, and monorail systems. These specifications apply to underhung cranes with end trucks that operate on the internal flange of a runway using enclosed track section.